Top journalism students from 18 universities will investigate water pollution and its impact on health in the U.S. as part of the 2017 Carnegie-Knight News21 national multimedia reporting initiative. Twenty students from journalism programs across the U.S., as well as Canada and Ireland, will join 10 Cronkite students for the 2017 investigation. They will examine the major issues surrounding water pollution, including contamination sources, legislation, enforcement and health implications. The students have already begun work. They are participating in a spring semester seminar where they are researching water issues, interviewing experts and beginning their reporting. The seminar is taught in person and via video conference by Leonard Downie Jr., the former executive editor of The Washington Post and Cronkite’s Weil Family Professor of Journalism, and News21 Executive Editor Jacquee Petchel, a Pulitzer Prize-winning journalist and former senior editor for investigations and enterprise at the Houston Chronicle. Students will hear from such guest speakers as Bob Woodward and Jeff Leen of The Washington Post as well as Erik Olson of the Natural Resources Defense Council and Jenny Rempel of the Community Water Center in California’s Central Valley. 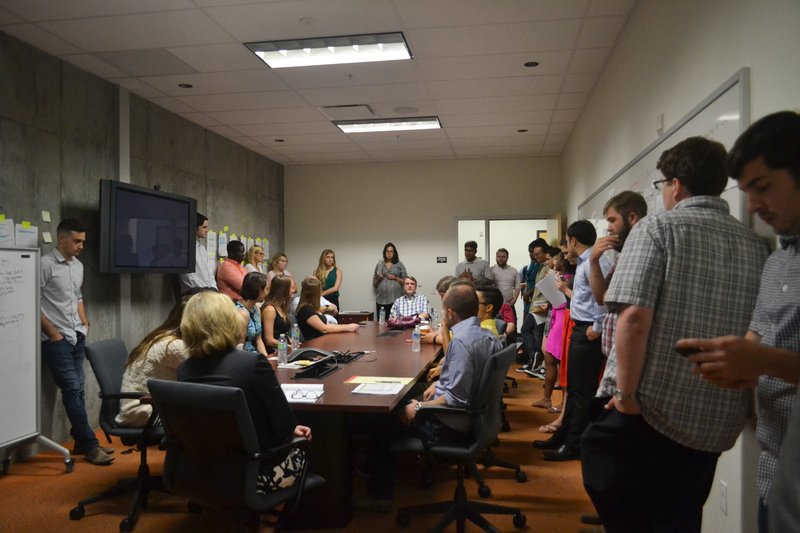 Following the seminar, students move into paid summer fellowships, during which they work out of a newsroom at the Cronkite School and travel across the country to report and produce their stories. Previous Carnegie-Knight News21 projects have spotlighted issues ranging from food safety and gun rights and regulations to veterans’ issues and voting rights. The student work is published at news21.com and by dozens of news organizations, including The Washington Post, USA Today, NBCnews.com and the Center for Public Integrity. Individual students are funded by their universities and by individual donors, foundations and news organizations. The Ethics and Excellence in Journalism Foundation supports fellows from the University of Oklahoma and ASU and the Hearst Foundations and the Donald W. Reynolds Foundation support ASU fellows. Knight Foundation supports American University and USC fellows; The Dallas Morning News supports the University of North Texas fellow; John and Patty Williams support the University of Tennessee fellow; Louis A. “Chip” Weil supports an ASU fellow; and the International Ireland Funds supports a Dublin City University fellow. Western POP Film Festival runs Wednesday through Friday in Tempe. “The timing for this festival is perfect due to the growing interest in the history of Westerns and the current revival of the genre in television and film,” said Peter Lehman, director of the Center for Film, Media and Popular Culture, which explores the role film and media play in shaping popular culture, human values and global communications. Lehman said films and TV shows such as “The Magnificent Seven,” “Deadwood,” “Django Unchained,” “True Grit,” and “Longmire” have re-energized the Western genre because of the constant revision of the past in relation to important social and cultural events at the time the films are made. The film festival runs in conjunction with the Tempe Center for the Art’s new exhibition, “Western POP: Facts and Fiction of the American West,” which opened on Jan. 13 and will run through May 6. The exhibition features hundreds of pieces of artwork, memorabilia, music and historical displays. "The Tempe Center for the Arts is presenting the film festival because this is the beginning of synergizing all of our multidisciplinary efforts," said Tempe Arts and Culture Deputy Director Ralph Remington. "Perfect blend with the Western Pop exhibition." Three strategically chosen Western films will be featured in historical order, giving the audience an alternative cultural perspective of the Old West. A discussion will follow each film. Lehman said he specifically selected “The Searchers,” starring John Wayne and directed by John Ford, for its unusual emphasis on visual imagery in telling its story. He said the movie also made a major contribution to the development of a new form of psychologically dark 1950s Westerns, which brought racism to the foreground. Remington will conclude the film festival with a screening and discussion of Quentin Tarantino's "Django Unchained," which he says links the "brutality of slavery with the Western experience." "Tarantino addresses and deconstructs the African-American experience in the Old West," Remington said. "He does so by flipping the dynamic and makes Django a black superhero." Tickets for the general public are available at the Tempe Center for the Arts box office or by calling 480-350-2822.